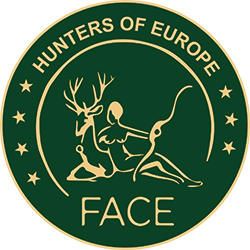 The conference “Coexisting with Large Carnivores: Challenges and Solutions” is hosted by MEP Karl-Heinz Florenz, President of the European Parliament Intergroup “Biodiversity, Hunting, Countryside”, and organised by FACE, the Federation of Associations for Hunting and Conservation of the EU. The conference will take place on 17 October 2017 at the European Parliament, Brussels. Recent data indicate that most large carnivore populations are stable or increasing in Europe’s densely populated multifunctional landscapes. While this trend provides a reason to celebrate, many conflicts arise. These conflicts often evoke a number of questions, for instance about current management and damage compensation schemes, as well as their legal status in certain geographic ranges. 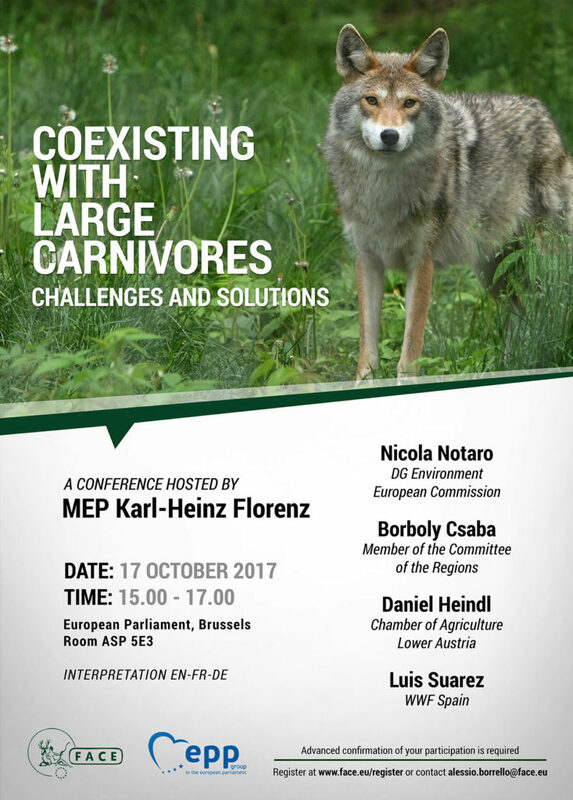 The conference “Coexisting with Large Carnivores: Challenges and Solutions” will discuss these challenges and present some solutions to improve existing conservation/management strategies for large carnivores in Europe.